The F1H2O India Grand Prix is all set to take place in Amaravati on River Krishna from November 16 to 18. The World Championship returns to Indian shores after a gap of 14 long years. 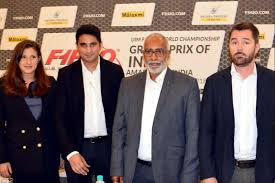 More than 350 international drivers from the F1H2O circuit will compete in the debut season of Amaravati in UIM motorboat racing. This year the championship began in Portugal on May 18 and will end in Sharjah on December 15. The race in Amaravati will see the world's top teams in action including teams from Portugal, Italy, the UAE, France and our very own, Team Amaravati. Amaravati has extended a warm welcome to the racing aficionados and sports-lovers of Bengaluru to witness the one of a kind international event. While addressing a press conference in Bengaluru, Srinivas Rao, CMO, Department of Tourism (Govt. of Andhra Pradesh) said, "We are happy to welcome Bengaluru to come and witness the spectacular event that is followed by millions across the globe. We are confident this will change the way grand sporting events are held in the country. Amaravati is all set to put our country on the global sporting map with the F1H2O grand prix. The Government of Andhra Pradesh and AP Tourism has put together elaborate initiatives in terms of hospitality and logistics for all visitors and participants. Our efforts are an endeavour to create solid resonance for Amaravati with F1H2O." Amaravati will be decked up and there will be a carnival-like atmosphere with a host of attractions for everyone present. The resident organising committee of the F1H2O Grand Prix is geared to promote water sport culture in the region which will also benefit the local fishermen communities in the area. Marco Pietrini, Director of Logistics, F1H2O is working closely to set up the teams and is extremely happy with the progress of the state in hosting the gala event, "I'm happy with way this event is shaping up. The state of Andhra Pradesh and the Tourism department has left no stone unturned to put up a gala show for all spectators and visitors and I am confident this initiative will take the sport to greater heights in the years to come. I won't be surprised if India has its own team competing on the global arena in the coming years." The capital city is gearing up to welcome visitors from across the globe to witness the event. The 23 km stretch along the River Krishna will turn into a carnival site celebrating best of the sport along with a host of other exciting activities. On November 16, powerboats will have a free practise session. On November 17 , teams will be battling for pole position while on November 18 the India Grand Prix will start. Sandeep Mandava, CEO, India Xtreme of Malaxmi Group spoke on the occasion and shared further plans "We have made extensive planning over the last few months and have worked relentlessly to make this event a grand success. It would be our pleasure to have the sports enthusiasts from Bengaluru come in big numbers and witness the return of F1H2O to Indian shores. I am also thankful to Marco Pietrini for his guidance and the respected officials of AP Tourism department for their unwavering support." Despite higher provisions, leading public lender Canara Bank has announced a higher Rs 300 crore net profit for second quarter ending September 30, 2018 and said it was looking at more organic growth to boost its profits further. The company had posted net profit of Rs 284.1 crore in the quarter ended September 2017. The company's gross NPA was down at 10.56 percent against 11.05 percent, while net NPA was down at 6.54 percent versus 6.91 percent. The net interest income was down 15 percent at Rs 3,281.3 crore, while provisions were up at Rs 2,835.1 crore versus Rs 2582.3 crore. In the absolute term its gross NPA was up marginally at Rs 45,233.2 crore against Rs 44,659.6 crore, while net NPA was up at Rs 26,777.6 crore versus Rs 26,693.5 crore, QoQ. 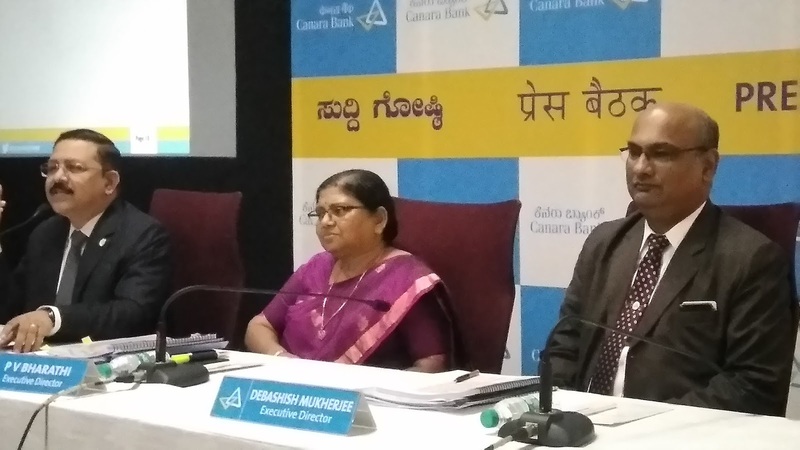 Bank Executive Director P V Bharati told reporters that Canara Bank geared up for organic growth with enhanced focus on domestic business. The net profit grew by 15.38 per cent YoY backed by a healthy 17.89 per cent YoY growth in Net Interest Income (NII). The good performance in NII growth was driven by 18 YoY growth in domestic advances supported by a retail credit growing at good pace at 35 per cent YoY. The global business of the bank surged 12.49 per cent to reach Rs. 9.61 lakh crore, with specific thrust on domestic business which registered a robust growth of 18 per cent YoY to reach Rs. 9.12 lakh crore. The global deposits improved by 11.18 per cent, while domestic deposits growth was higher at 15.95 per cent, she added. These unique and articulately designed combination of soft toys are all set to woo your kids & toddlers this festive season. All these toys are made from soft materials adhering to the safety standards, which are reliable and harmless to be used by them. The entire collections are premium quality, washable, skin friendly and non - toxic. It can be also be gifted for Diwali, Christmas, New Year, Birthday & for special occasions throughout this season. Soft and adorable, these toys are stuffed with 100% plush fabric which remains fluffy even after multiple number of washes. These Toys will be available in all leading stores across India. 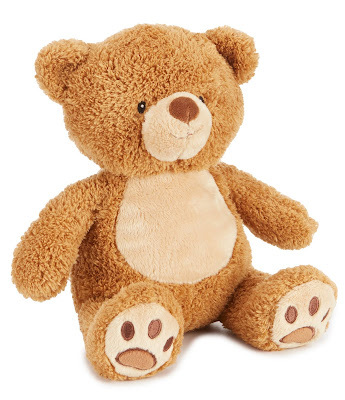 This range of toys are also available just a click away by ordering online at : www.ultragiftbox.com, Firstcry, Amazon, Flipkart, Snapdeal, Shopclues, Paytm’ etc . Each item ordered will be attractively gift wrapped & swiftly delivered anywhere in India for free. Shoppers can pay for the items ordered through: Cash on Delivery and Online Credit/ Debit / Credit Card Payment options. Let your child build up stories, let him create a new fascinating world of toys, and let him enjoy every moment of his childhood as the holiday season begins. Diwali, Christmas and New Year are just around the corner, it's time when children of all ages create their wish lists. With so many toys, games and sporting equipment to choose from, it's hard for parents and grandparents to know which gifts make the best choices for their love ones. India’s popular quiz show NEWS WIZ Season 3, the brain child of Siddhartha Basu of KBC fame, anchored by veteran journalist Rajdeep Sardesai is back with great aplomb, on India Today Television. The journey has been eclectic as students from as far from Kashmir to Kerala have participated in great numbers to make the show a super success. 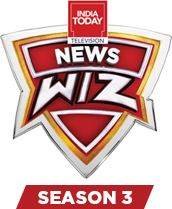 Now it is time for the GRAND FINALE and three teams from the south have scored over the rest and will battle it out on the 3rd November for the title of NEWS WIZ 2018. The lucky winners will also get a chance to go on a trip to Oxford, England. As the stage is set for the Grand Finale, as three teams hailing from Thrissur (Sreeram Madhavan V & Paul Binu, Bharatiya Vidya Bhavan's Vidya Mandir, Poochatty), Hyderabad (Hussain Ahmed & Syed Abdul, Mannan Little Flower High School, Hyderabad and Bengaluru represented by Dishita Swaika & Rishab Devaiah Sishu Griha Montessori High School, Bengaluru) will gear up for the final challenge and beat the odds to prove their mettle. The News Wiz trophy therefore moves to South India this year. The on-ground event has been a roaring success, as students from the top schools of India making their mark with their intellect. A total of 3,500 students actively participated in the News Wiz hosted on-ground by the prolific TV anchor Mr Rajdeep Sardesai, as they fought hard for a wild card entry for the first time ever. The Euphoria created by News Wiz has been phenomenal & never seen before in the history of a Quizzing show. The iconic show is slated for the final countdown on 3rd November on India Today Television at 8 pm. The Year in Infrastructure 2018 Conference – Bentley Systems, Incorporated, the leading global provider of comprehensive software solutions for advancing the design, construction, and operations of infrastructure, today launched OpenSite Designer, a built-for-purpose application for the design and construction of civil site projects. It also launched OpenBuildings, bringing together its AECOsim building design and Speedikon factory and industrial design applications; and announced the availability of OpenBuildings Station Designer, a specialized application for designing rail and metro stations. At the same time, Bentley announced the availability of OpenBridge Designer, which combines Bentley’s bridge modeling, analysis and design capabilities into one comprehensive package, and OpenFlows FLOOD, a flood analysis and early warning system. In addition, in pursuit of its ‘industrialization’ strategy, Bentley announced it has rebranded under its Open portfolio several of its applications based on MicroStation technology which collectively accelerate the advancement of its comprehensive modeling environment by connecting digital workflows across disciplines and sharing digital components in its Connected Data Environment (CDE). Fully 49 of the 62 finalists and awardees of this year’s Year in Infrastructure Awards credited collaborative digital workflows in their successful outcomes. For example, OpenRoads, Bentley’s civil design applications for road networks, is credited by 22 awards finalists’ projects in 12 categories, and OpenPlant, Bentley’s plant design project management applications, is credited by 10 finalists’ projects in 9 different categories. ProjectWise and/or AssetWise were credited by finalists’ projects in 16 of 19 awards categories this year. The collaborative nature of digital workflows connecting analysis and simulation with design and modeling is exemplified in OpenSite, Bentley’s new solution for the design and construction of civil site projects. OpenSite provides rapid site modeling and analysis, earthwork optimization and quantification, drainage and underground utilities, and automated project deliverables. OpenSite Designer provides the most comprehensive site design workflow available including reality modeling, geotechnical, underground utilities, stormwater drainage, terrain modeling, detailed drawing production, and visualization. OpenSite Designer optimizes design outcomes with multidiscipline information modeling and analysis. Interoperating with PLAXIS, Bentley’s newly acquired geotechnical engineering solution, site plans can be enhanced with new information about the active properties of soil including bearing capacity, stresses, and displacement. The newly launched OpenBuildings Designer incorporates all of the capabilities of AECOsim Building Designer as well as Components Center and a range of new capabilities and standards including EnergyPlus, a building energy model to help users comply with ASHRAE standards in the US, and UK energy requirements; support of international standards including IFC 2x3, IFC4 Reference View, COBie, and Singapore’s Building and Construction Authority; new capabilities to design curtain wall systems; and OpenBuildings Speedikon, a leading application for industrialized design and construction. OpenBuildings Designer takes advantage of collaborative digital workflows with other applications in Bentley’s Open portfolio, for example templates in OpenBuildings Station Designer for tunnel segments created through GenerativeComponents based on linear alignment from OpenRail. Showcasing their robustness and versatility, OpenBuildings applications were credited by 32 of 62 of the Year in Infrastructure Awards finalists projects in 15 of 19 categories. OpenBridge Designer is a new, all-encompassing application that integrates the modeling capabilities of OpenBridge Modeler and the analysis and design features of RM Bridge, LEAP Bridge Concrete, and LEAP Bridge Steel to meet the design and construction needs of both concrete and steel bridges. OpenBridge Designer enables bridge designers to rapidly create an intelligent, parametric bridge model, fully integrated with analysis and design, as well as drawings. It enables seamless synchronization of various disciplines for analysis, design, detailing, documentation, construction engineering and load-rating. Bentley also announced the rebranding of its Haestad water modeling and ACTION Modulers flood analysis product lines to form OpenFlows for water districts, sewer utilities and flood plain managers. OpenFlows extends smart water networks capabilities with GIS-based asset-centric information for water loss reduction, water operations, flood prediction and prevention. OpenFlows FLOOD continuously monitors watersheds, integrating data from real-time monitoring stations and numerical models to calculate risk levels. OpenFlows FLOOD mitigates flood risk, improving understanding of the processes involved in flood generation, and transmitting early alerts to reduce the impact caused by floods. Applications for analysis and simulation, on the one hand, can collaboratively and iteratively work with applications for design and modeling, and on the other, connect operational workflows and converge the work of different disciplines. 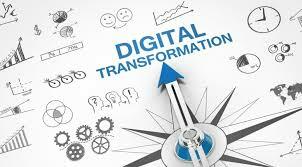 Collaborative digital workflows are characterized by data captured or created for one purpose being accessed and used by other applications for other purposes thereby saving time, minimizing rework, and improving data quality over the asset lifecycle. An example of multidiscipline collaboration with OpenFlows involves workflows that use ContextCapture to create a 3D reality mesh, feeding into OpenFlows FLOOD modeling and using the terrain as input to various analyses in a single review environment for visualization and presentation to stakeholders using LumenRT. Connecting analysis with modeling in another Open collaborative digital workflow involves the layout of road geometry, and hydraulic analysis and design using storm analysis tools including the determination of the size of storm inlets, pipes, depth of pipes, and manholes. The collaborative nature of the workflow enables clash detection in the subsurface environment, and iteration and adjustment as needed, to confirm functional and physical characteristics. Other instances of Open collaborative digital workflows connecting design and analysis include OpenUtilities with Siemens’ PSS©SINCAL, which helps utilities improve resilience and deal with weak spots in the grid; and OpenBuildings Station Designer with LEGION pedestrian simulation, to enable designers to design, test, and validate simulations of scenarios for pedestrian traffic. Completing its announcement about Open applications, Bentley said that Bentley Map will be rebranded as OpenCities Map; and OpenComms, aimed primarily at multisystem operators, will incorporate Bentley Fiber and Bentley Coax. Through this new variant, William Grant & Sons aims to cater to the increasing demand for premium spirits in India. According to IWSR global forecasts, India is expected to be one of the largest contributors to global whisky growth over the next 5 years. 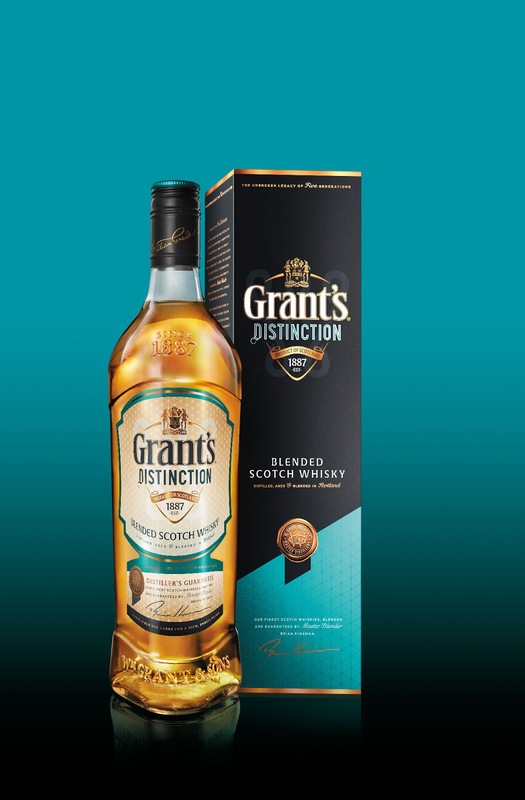 The Blended Scotch market in India is expected to grow to 5 million cases by 2021. Currently the scale of the market for Scotch brands bottled in India is ten times larger than those bottled in Scotland and imported. Hero MotoCorp, the world’s largest two-wheeler manufacturer, today reported yet another month of landmark 7-lakh sales. 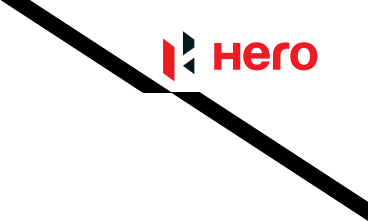 Hero MotoCorp despatched 734,668 units of motorcycles and scooters in October 2018 – a growth of 16.4% over the corresponding month of the previous fiscal (October 2017) when the Company had sold 631,105 units. Fortifying its market leadership with a strong sales growth trajectory, this is the fourth occasion in this fiscal (FY’19), and sixth overall, when the Company has registered sales of more than seven lakh units of two-wheelers in a month. Coming immediately after the Company’s highest-ever monthly sales (769,138 in September 2018), the growth provides a positive outlook on the industry, which has witnessed a sub-par festive season sales thus far this year. Compared to the previous year, retail off-take across the country during the initial few weeks of the festive season have been moderate, primarily on account of the significant increase in Insurance cost, followed by the associated confusion over the coverage amount and period in the matter of two-wheeler insurance. We hope to see a positive turnaround in the sentiments and retail sales to pick up in the days leading up to Diwali. Hero MotoCorp also marked its entry into the 125cc scooter segment during the month, with the launch of its new 125cc scooter – Destini 125 – in the Delhi-NCR region. Attractively priced at Rs. 54,650/- (Ex-Showroom Delhi-NCR) for the Lx variant and Rs. 57,500/- (Ex-Showroom Delhi-NCR) for the Vx variant, the scooter will be available in the rest of country over the next 3-4 weeks. An urgent call to action has been taken by 1MG – Lido Mall after rising pollution levels are forcing Bengaluru residents to leave the city during the festive season to celebrate Diwali with their loved ones. The Mall has launched the eco-friendly Diwali 2018 which commits to no-pollution and no-noise keeping in mind the health and wellbeing of its visitors. With an aim to make a difference, the Mall has also partnered with leading eye care hospital Narayana Nethralaya to promote eye donation. Commented Suman Lahiri, Chief Operating Officer, 1MG – Lido Mall, “We have witnessed over 500 people signing up each day ever since we announced the eco-friendly and eye donation campaign on our social media platform. This goes to show that the residents of Bengaluru do care about the welfare of our community and want to play an integral role in the campaign as well”. 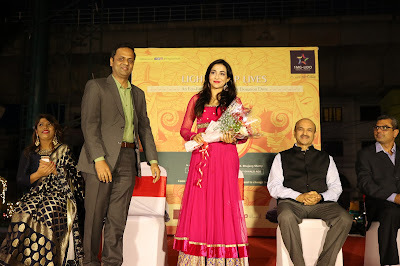 Also commented Bhanu Praveen, Marketing Manager, 1MG – Lido Mall, “This Diwali, we commit ourselves to lighting up lives. The figures were indeed alarming and hence we as a Mall decided to launch an eco-friendly Diwali celebration this year onwards which promotes no-pollution and no-noise. We are also addressing key areas on do’s and don’ts of bursting fire crackers and the increasing pollution levels, how loud noise can affect animals and more. 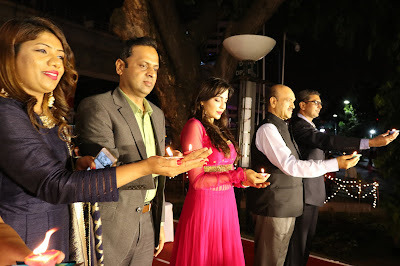 All visitors to our Mall also participated in a pledge to celebrate Diwali the eco-friendly way moving forward. Post event, the visitors were treated to Diwali sweets and we tried our best to make the festive season most memorable for all”. 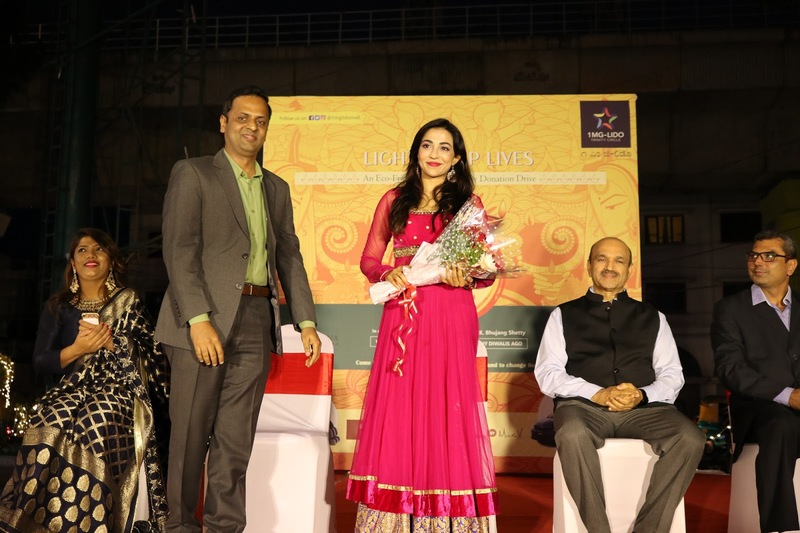 Also added Roby Varghese, Centre Manager – 1MG Lido Mall, “With an attempt to raise awareness on eye donation, we are encouraging all our visitors to take a pledge towards an eco-friendly Diwali. The eye donation campaign will also be conducted for all those who are keen to donate their eyes. The eye donation is considered an act of charity, purely for the benefit of the society and is totally voluntary. With over 50 cases of eye injuries reported by Narayana Nethralaya every year on the onset of Diwali, the hospital announced that it will open its doors to offer free consultation and primary eye treatment on the 6th, 7th and 8th of November 2018 to all those whose eyes are affected by the fire crackers. With a fully equipped manpower and resources a dedicated team of doctors will be on standby through the night to administer timely aid to all those who enter their hospitals”. Commented Dr. Bhujang Shetty, Founder Chairman and MD Narayana Nethralaya, “Last year the supreme court banned fire crackers and it was quite challenging to have this enforced across the country, especially keeping in mind how people enthusiastically look forward to bursting firecrackers especially during Diwali. However, this year, the balanced judgment from the BBMP with restricted timings and the use of green crackers with low emissions and low sound which has paved way for a more responsible commitment on the citizens and how well we will all work towards preserving our environment. However, the only challenge is that the green cracker are not easily available in the market this year and hence the conventional ones are still being used by most”. The Year in Infrastructure 2018 Conference– Topcon Positioning Group, a world leader in positioning technology for the survey and construction industries, and Bentley Systems, the leading global provider of comprehensive software solutions for advancing the design, construction, and operations of infrastructure, announce new developments in the constructioneering workflow initiative. “We are looking forward to building upon the success of the inaugural year of the Constructioneering Academy,” said Ron Oberlander, vice president of Global Professional Services for Topcon Positioning Group. “The industry needs these types of programs as a catalyst to drive digital automation adoption. A key part of the initiative is the interaction of field and office professionals from the ‘front lines’ and we are excited to provide this opportunity to professionals around the world. Sasken Technologies Ltd., (formerly Sasken Communication Technologies Ltd.), a leading product engineering and digital transformation solutions provider, today announced that it has joined the Enterprise Ethereum Alliance (EEA), the world's largest open source blockchain initiative. Sasken has been working on Ethereum to develop solutions and accelerators for several industry use cases such as revenue-sharing solution for multimodal public transportation system, enhancing security of IoT edge network, and asset registry for industrial equipment. With more than 500 member companies, the EEA membership base represents a wide variety of business sectors from every region of the world. The EEA’s industry-focused, member-driven working groups are each tasked with creating and delivering specific advancements to the development and use of Ethereum-based technologies. Ensuring celebrations last for a lifetime, 1MG-Lido Mall is spreading awareness on eco-friendly Diwali and ensuring public health and safety with a strong message on no-noise and no-pollution this Diwali 2018. Come and join the celebration on Friday, 2nd November from 5:30 to 6:30pm at 1MG Mall where all visitors will be handed out eco-friendly diya and will light lamps together. Shortly after the lamp lighting ceremony, sweets will be distributed to all mall visitors. With the objective to ensure an environmentally safe Diwali, the Mall in partnership with Narayana Nethralaya hospital will be offering a free surgery to anyone who has lot their eye sight on account of lighting Diwali crackers. 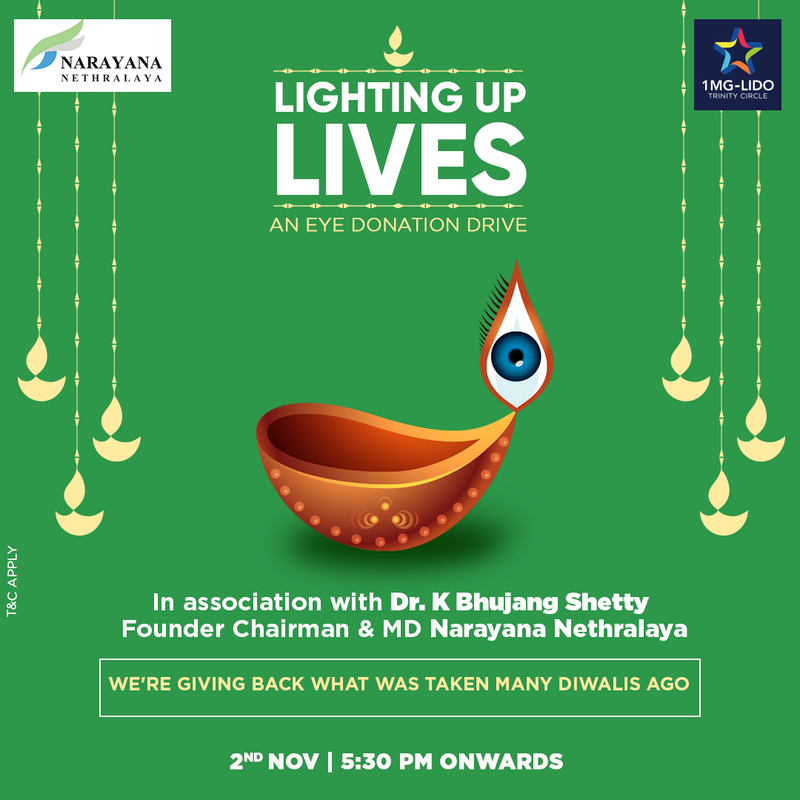 The free eye surgery will be conducted by Dr. K. Bhujang Shetty, Founder Chairman & MD Narayana Nethralaya to anyone who has lost their eyes on account of lighting fire crackers during the Diwali season. In an attempt to raise awareness on eye donation, 1MG – Lido Mall is encouraging more visitors to sign in and take the pledge on a no-pollution and no-noise eco friendly Diwali moving forward. An eye donation campaign will also be conducted for all those who are keen to donate their eyes. The eye donation is considered an act of charity, purely for the benefit of the society and is totally voluntary. Natural disasters can strike at any time, so Land Rover and the Red Cross are helping people in remote areas to prepare for the worst. Such support has never been more important: the World Disaster Report 2018 estimates 134 million people will need humanitarian assistance this year. The report, by the International Federation of Red Cross and Red Crescent Societies (IFRC), says challenging terrain, limited infrastructure, conflicts and natural hazards can all make it hard to get help to where it's needed. To mark the release of the report, Land Rover and the Red Cross have released a film about the life-changing threats of natural hazards and the humanitarian work to help vulnerable people in isolated communities. Land Rover funds a community preparedness project in the state of Chiapas, Mexico, which aims to support 55 000 people in vulnerable communities. In the last two years, the Mexican Red Cross has travelled over 37 015 km in order to reach these isolated communities. 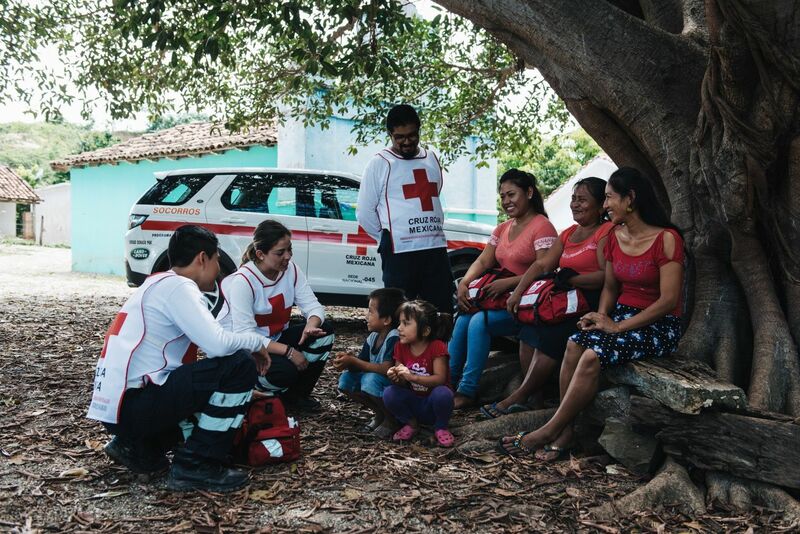 Following the 2017 earthquake, the Mexican Red Cross were able to mobilise 1 200 search and rescue specialists and 31 000 volunteers to support the rescue efforts to deliver earthquake relief and response to more than a million people. Chris Thorp, Responsible Business Director, Jaguar Land Rover said:“Through our partnership with the Red Cross we are committed to providing support to isolated communities like those in the Chiapas region of Mexico. “The technology and capability of Land Rover vehicles enables them to get to the hardest to reach people in some of the world's most challenging terrain." Alexander Matheou, Executive Director of International at the British Red Cross, said: “Millions of people worldwide are in crisis and need urgent humanitarian aid. In the past decade earthquakes have caused more than 350 000 deaths and the recent disaster in Indonesia has left a trail of destruction, bringing the importance of our humanitarian work to the forefront. Land Rover has worked in partnership with the Red Cross for more than 60 years. Since 2013 the partnership has raised more than US $ 12.8 m for people in need, funding 18 humanitarian projects in 25 countries. Accenture has announced the winners of the Accenture Innovation Challenge 2018, a competition in India that aims to inspire students to apply their technology talent and creativity to develop innovative ideas that can create social and business impact. The grand prize was awarded to the team from Sir M. Visvesvaraya Institute of Technology (Sir MVIT), Bengaluru for their solution ‘Aayush’, a cost-effective ingestible battery-less electronic health pill that can continuously record health metrics to predict and prevent heart attacks and cardiac arrests. Other winners in the competition included teams from Indian Institute of Technology (IIT), Madras; Nitte Meenakshi Institute of Technology, Bengaluru; IIT-Kharagpur; Manav Rachna International Institute for Research and Studies, Faridabad; and Delhi Technological University, New Delhi. The winners were announced at the competition’s grand finale held recently in Bengaluru, which featured 16 finalists, all of them from the engineering discipline. The Accenture Innovation Challenge 2018 was open to students pursuing graduate, under-graduate and post-graduate programs. Students were encouraged to develop ingenious technology solutions using advanced technologies such as advanced analytics, automation, artificial intelligence, big data, blockchain, cybersecurity, immersive reality and internet of things, among others. 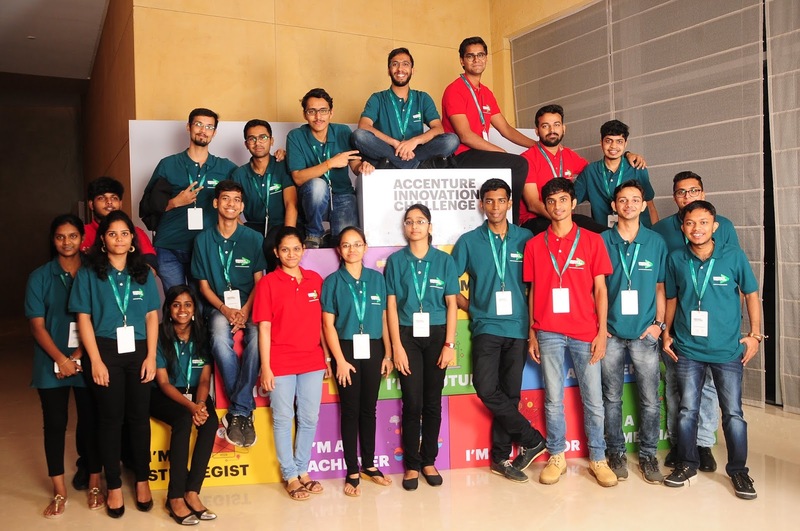 “We are thrilled that the Accenture Innovation Challenge this year has seen a record participation – over 13,000 entries involving over 30,000 students across 1,000+ colleges in India. Technology innovation is driving disruption in many industries, and it is exciting to see how students have applied advanced technologies to develop innovative ideas in diverse areas such as medical care, trauma care, dairy farming, energy management, music, railroad management, personal data privacy, fraud management, eco construction, and so on”, said, Mohan Sekhar, senior managing director and lead for Accenture’s Advanced Technology Centers in India. “The innovative and creative abilities these students have exhibited are commendable and we heartily congratulate all the winners and participants”. Grand Prize: Awarded to the team from Sir M. Visvesvaraya Institute of Technology, Bengaluru for ‘Aayush’, a cost-effective ingestible battery-less electronic health pill to predict and prevent heart attacks and sudden cardiac arrests. ‘Aayush’ records metrics such as PH level, body temperature, heart rate and myeloperoxidase protein content of a person using bio-medical sensors from the body and transmits data to a mobile app via a wearable smart patch. The solution features a built-in artificial intelligence-enabled virtual assistant, which monitors data for abnormal variations in the parameters, and analyzes and predicts a heart attack or sudden cardiac arrest 9 – 11 minutes prior to it taking place. In cases of an emergency, the solution uses GPS location to alert the nearest hospital and the person’s family or caretaker group about the need for immediate medical care. * ‘Innovate for Businesses’ category award: Won by the team from IIT-Madras, for their solution ‘Microwave Pyrolysis’, which can convert waste into energy through microwave pyrolysis, an age-old technique of thermal decomposition that converts non-metal waste into forms of energy including oil, gas, and char, which have multiple uses and can be incorporated into existing product supply chains. * ‘Innovate for the Society’ category award: Won by the team from Nitte Meenakshi Institute of Technology, Bengaluru, for developing ‘EyeSee’, a solution which features a virtual reality (VR) app and headset to simulate the commonly used Humphrey field analyzer tool to carry out glaucoma detection tests. The solution is more affordable and portable to use, making it more feasible to use among people in rural and inaccessible areas. ‘MusicManiac’, developed by students from IIT-Kharagpur is a system that automatically chooses chords to accompany a vocal melody using melody extraction and Musical Instrument Digital Interface (MIDI) files, thereby giving novice musicians the opportunity to automatically create music and experiment with chord patterns without any professional knowledge of music. 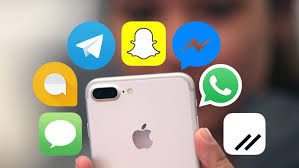 ‘Virtual Exposure Therapy’ (VET), is a solution jointly developed by students from Manav Rachna International Institute for Research and Studies, Faridabad and Delhi Technological University, New Delhi. VET is a solution that aims to treat people with phobias and post-traumatic disorders in a virtual reality environment, by recreating trauma relevant scenarios, providing analysis and monitoring improvement of the patient’s psychological condition. * Employees’ Choice award: The winner of this award was chosen through voting by employees of Accenture’s Advanced Technology Centers in India. This award was won by the team from IIT-Madras, for developing ‘Artemis’, a robot that can detect and analyze cracks in railway tracks using ultrasound technology and IoT. Some key features of this fully automated method include storing the location of cracks, sending alerts on identified cracks to mobile phones, detecting loose fish plates and surveying for anomalies on tracks. The solution aims to address the problem of train derailments in India, which cause massive loss of life and property every year. The Grand Prize winner received prizes worth INR 150,000 and each member of the two teams selected as category winners — for ‘Innovate for Businesses’ and ‘Innovate for the Society’ — received prizes worth INR 75,000. The winners for the Accenture Innovation Challenge 2018 were chosen from among 16 shortlisted teams that presented their ideas to a jury panel featuring Anupam Sinha, Co-founder and CEO – Vxceed; Daniel Raj David, CEO and Co-Founder – Detect Technologies; Hari Bharadwaj, Founder and CEO – eSahai; Manish Singh, Senior Director of Product Mobile and Internet – Ola (ANI Technologies); Dr. M. Vijayalakshmi, Professor and Vice Principal – Vivekanand Education Society's Institute of Technology (VESIT), Mumbai; Sunil Rao, Partner, Business Services – Lightspeed Ventures Partners; Sunit Singh, Partner and Co-Founder – Design Capital; and Thomas Dal, Director and Dean – Strate School of Design. 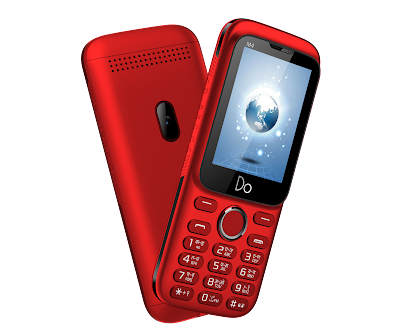 Do Mobile, one of the most innovative mobile handset brands in the country announces the launch of its newest M4 feature phone with the power packed qualities that keeps you going. The feature phone comes with 2.4inch Bright Display bringing you the perfect viewing from any angle and accurate edge-to-edge colours.Housed in an attractive body with powerful 1000 mAh Li-ion Battery you will never run out on the most important discussions, chats and your favourite games. Also, with upto 32 GB expandable memory the feature phone aptitudes to enhance your multimedia experience and provide endless entertainment. The Dual Sim Phone also supports Auto Call recording along with Wireless FM. A few additional features that prims up the phone is the LED Torch, Vibration Mode, Bluetooth, Video support MP3, MP4 etc. Lastly adding significance at the budgeted prices, M4 comes with Multi-Language Support – Now take control and chat in 22 languages. Priced at the MOP of Rs.949, the phone is available with retail stores across India. Cybage Software has announced the consolidation of its various organic digital offerings into a unified Digital Solutions umbrella to cater to an ever-evolving gamut of customer requirements in the disruptive digital scenario. The decision was taken to tap in the huge demand from enterprises in various domains for a one-stop, comprehensive, up-to-date digital solutions portfolio that helps an enterprise be future-ready across operations. The Digital Solutions umbrella will cover our flagship product DecisionMinesTM, Digital Marketing Services capabilities, Packaged Solutions offerings (CRM, CMS, E-commerce) and Centers of Excellence (Business Intelligence, Cloud Computing and Enterprise Mobility). 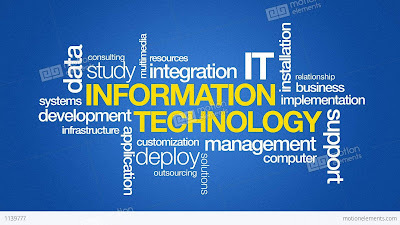 The diversified service offerings are designed to help organizations make a smooth transition to the digital world by devising easy-to-integrate, built-to-suite solutions that can instantly enhance the efficiency of an organization without the need of any substantial re-skilling of existing employees. The complete Digital Solutions package will serve to complement Cybage’s core Product Engineering capabilities. With this initiative, Cybage aims to fulfill the needs of enterprises, with a special focus on providing a differentiated value proposition to business decision makers across the length and breadth of internal operations and functions. As the relevance of digitization becomes imminent amongst enterprises in various domains, 360o solutions such as these are expected to be extremely popular for organizations looking to quickly jump on the tech juggernaut. Cybage’s offerings and strategies have facilitated our enterprise customers to remain competitive, efficient, and capable of optimizing returns from opportunities by implementing some of the most cutting-edge technologies and automated management frameworks. This move will allow us to consolidate our position as a leader and allow our customers easier access to our turnkey consulting and implementation capabilities. 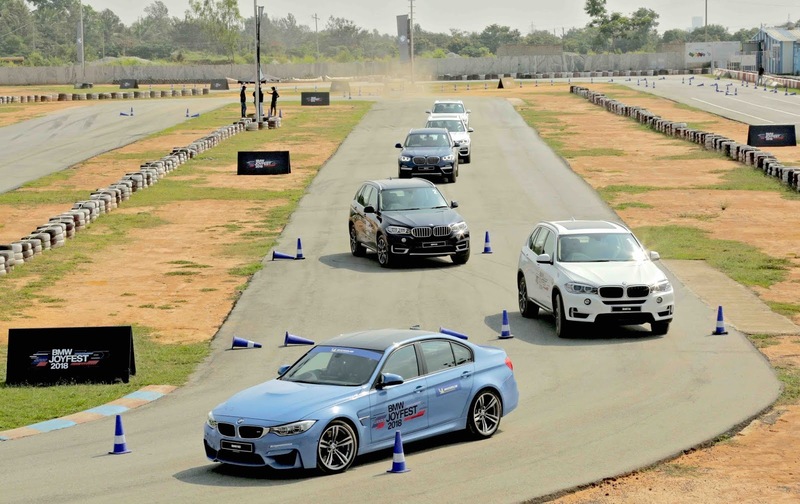 BMW India commenced its exclusive driving program – BMW JOYFEST 2018 in Bengaluru today. The two day event in Bengaluru will showcase the driving dynamics, modern functionality and high performance of the entire BMW product portfolio. The BMW JOYFEST is a specially curated platform for customers and prospects to experience the extraordinary control, manoeuvrability and the grit of the signature BMW xDrive: the intelligent all-wheel drive system of the BMW X family of sports activity vehicles (SAVs) and explore the ultimate luxury, unsurpassed comfort and advance driving dynamics of other BMW sedans and sporty M cars. The first-ever BMW 6 Series Gran Turismo, the all-new BMW M5, the all-new BMW 5 Series, BMW 7 Series, the all-new BMW X3, BMW X1 and BMW X5 will be available for test drive to participants. Further, BMW certified trainers will offer valuable advice on various driving techniques like slalom, fast laps, corner braking and emergency braking. The BMW 7 series will be on special display. The thrill of high-performing range of sports cars – the all-new BMW M5 will be based on the Need for Speed Payback concept which made a debut at the 2017 Gamescom gaming conference in Cologne, Germany. BMW M Automobiles are produced by BMW Motorsport GmbH (a subsidiary of BMW AG). Sophisticated technology, individuality and safety - the BMW M cars offer an unmatched experience of exclusive, high-performance driving. The 2018 edition of BMW JOYFEST will house an exclusive BMW 7 Series Individual Lounge, BMW Lifestyle zone with BMW original and BMW Motorsport accessories. It will also house BMW Financial Services zone, food and beverage section and BMW Gaming zone. While the BMW Accessories and Lifestyle Zone will feature genuine BMW merchandise at special offers, the exclusive BMW 7 Series Individual Lounge offers customers an opportunity to customize and enhance their vehicle in line with their personal requirements. The BMW 7 Series Individual Lounge will also showcase individual paint finishes, leather upholstery and trims. The BMW JOYFEST will feature one-of-its-kind two-tier set-up which will be created in each city, representing BMW’s premium international standards. The entrance is inspired from the iconic BMW kidney grille which is the most distinctive design feature. A special gaming zone will ensure an entertaining time for the entire family. Participants will also get to play games such as Need for Speed Payback and ring toss along with an opportunity to win lots of prizes. Toyota Kirloskar Motor sold a total of 12606 units in the domestic market this month of October 2018. The company exported 639 units of the Etios series this month thus clocking a total of 13245 units. TKM sold a total of 12403 units in the domestic market and exported 1597 units of the Etios series in October 2017. The company has witnessed a growth of 15% in domestic sales from April-Oct 2018 as compared to the same period last year. This growth has been primarily driven by the positive sales growth of Innova Crysta, Fortuner, Etios Liva and the positive response to Yaris. Commenting on the sales performance, N. Raja, Deputy Managing Director, Toyota Kirloskar Motor said, “ We are happy that we have been able to sustain good customer demand despite the dampening effect on consumer sentiment owing to hike in fuel prices, higher interest rates and increase in insurance premium. Innova Crysta has witnessed a growth of 11% in April to Oct 2018 as compared to the same period in 2017. We are thankful to our customers for their endless support to the brand and the trust they have shown for our products which define Quality, Durability and Reliability. Additionally, Etios Liva, one of the most popular choice of Indian families has registered a growth of 17% from April to October 2018 contributing significantly towards the overall sales growth. We expect the buying sentiment to improve in the upcoming months and thus ensuring a positive sales momentum in the auto industry. 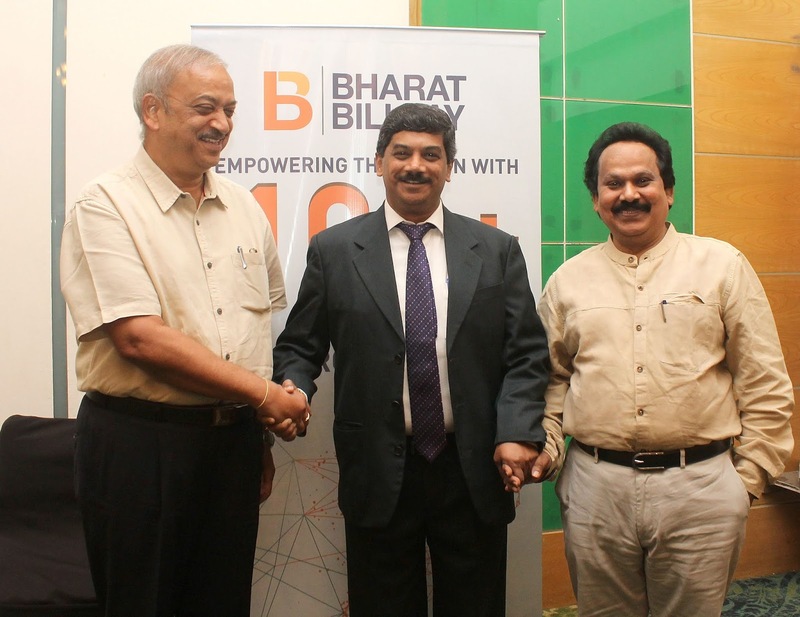 Bharat BillPay, launched by National Payments Corporation of India (NPCI) has on-boarded Banglore Electricity Supply Company (BESCOM) and Banglore Water Supply and Sewage Board (BWSSB) to empower over 1 crore consumers for secure and easy bill payment. 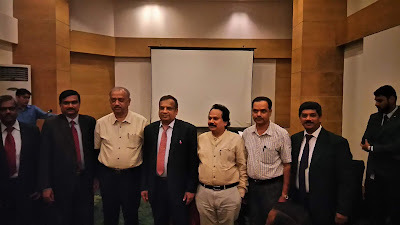 Key billers in Karnataka besides BESCOM and BWSSB that are part of Bharat BillPay ecosystem are Gulbarga Electricity Supply Company (GESCOM), Chamundeshwari Electricity Supply Company (CESCOM) and Hubli Electricity Supply Company (HESCOM). Other major national billers are Airtel, Vodafone, Idea, Jio, BSNL- Postpaid, Tata Sky, Dish TV, Sun Direct- DTH etc. A.R.Ramesh, Chief Project Officer, Bharat Bill Payment System, NPCI said, “BESCOM has partnered with Vijaya Bank for Bharat BillPay which has significantly increased accessibility of consumers to the biller on various channels. Also, BWSSB is one of the new billers that is on-boarded for the first time on an interoperable bill payment ecosystem through Canara Bank. With Bharat BillPay, we strive to make consumer’s life easier by providing a one stop destination for all their recurring bills”. R A Sankara Narayanan, Managing Director and CEO, Vijaya Bank said, “We are happy to deepen our relationship with BESCOM and increase the accessibility of the consumers to the billers. Going forward Vijaya Bank aims to on board more billers in Bharat BillPay ecosystem. Consumers can be assured of a secure channel for bill payment by using any of the enabled channels under the Bharat BillPay ecosystem. It helps us to serve the consumer better by offering them ease of bill payment and future such collaborations”. 1. Select to pay your bills via net-banking, website, app or physical outlets of banks/non-banks by just seeing the Bharat BillPay logo. 2. Select BESCOM/BWSSB from the list. 3. Choose your desired payment mode like Card, Wallet, Net-Banking or Cash as enabled by your bank. The approved categories of billers on Bharat BillPay are: Electricity, Direct-To-Home (DTH), Telecom (Mobile postpaid, Landline postpaid and Broadband), Water and Gas. Once bills are paid, the consumers receive instant confirmation in the form of SMS or/and email or Print receipt with the Bharat BillPay logo. Operating Units (BBPOUs) in the country. A BBPOU can be a bank or a non-bank institution which handles payment and aggregation of services related to bill payments under the scope of Bharat Bill Payment System (Bharat BillPay). Non-bank entities include aggregators, prepaid instrument issuers and consumer facing organisations. The pilot phase of Bharat Bill Payment System was launched by former RBI Deputy Governor, R. Gandhi on August 31, 2016. After successful completion of the pilot run, RBI accorded their approval and subsequently NPCI announced the launch of Bharat Bill Payment System on October 17, 2017. 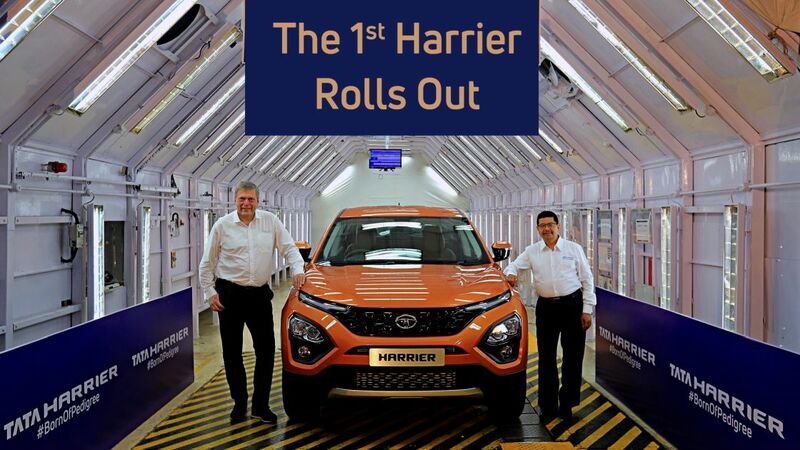 Tata Motors has officially announced the roll out of the 1st Harrier from its all-new manufacturing line. With this, Tata Motors is now gearing up for the launch of its much awaited SUV in early 2019. 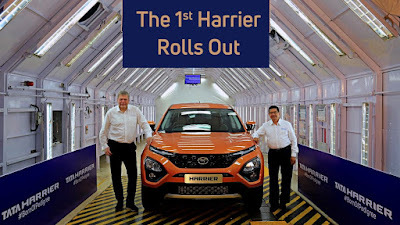 Tata Harrier needed a completely new approach to product development and manufacturing processes. The completely new world-class assembly line has been built in a record time of 6 months with the best manufacturing practices adopted from Jaguar Land Rover. It boasts of 90% automation levels with over 100+ KUKA and ABB robots. Born of legendary pedigree with sleek looks and dynamism, Harrier is the first vehicle to sport the IMPACT Design 2.0 philosophy. It will offer an extraordinary exterior design, thoughtfully and intelligently designed plush interiors, future ready connectivity and best-in-class infotainment. The 5 seater monocoque SUV is engineered on the new generation ‘Optimal Modular Efficient Global Advanced’ Architecture , which is derived from the legendary Land Rover D8 architecture and developed in collaboration with Jaguar Land Rover. With an aim to bring forth advanced cancer care to the doorstep of millions of people, Manipal Hospitals, India’s leading healthcare provider unveiled its revamped Oncology block ‘Manipal Comprehensive Cancer Centre (MCCC)’ at the hospital’s Old Airport campus. Marking a new beginning, the Centre has introduced state-of-the-art, ultra-modern digital mammography with Tomosynthesis technology to enhance the hospital’s diagnostic capabilities for screening and treating breast cancer and a dedicated surgical Lymphoedema Clinic. With rising incidence of breast cancer in the country, the revamped Centre will offer super-specialized tertiary care services in medical, surgical and radiation oncology, streamlined into dedicated site-specific teams. MCCC is one of India’s most comprehensive cancer care centres which houses complete treatment protocols under one roof. 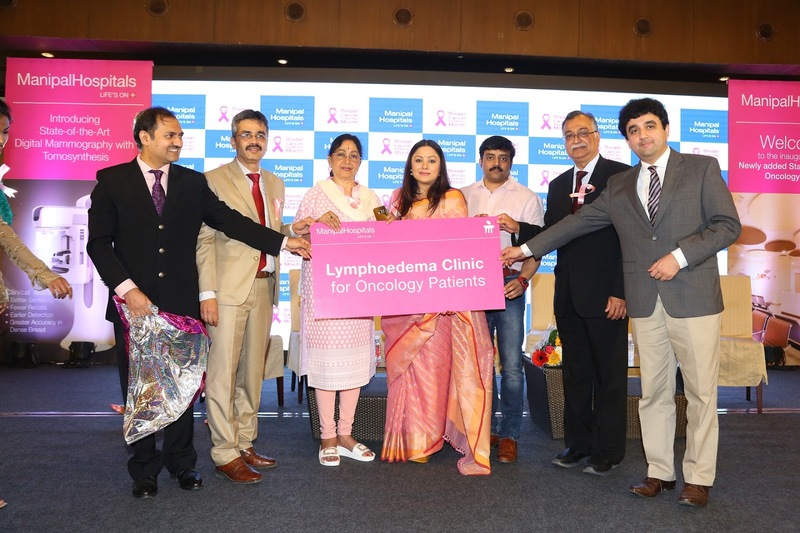 The MCCC was inaugurated by leading Indian actors Bharathi Vishnuvardhan, Priyanka Upendra and Aniruddha Jatkar in the presence of Dr. H Sudarshan Ballal, Chairman, Manipal Hospitals & Dr. Somashekhar S.P, Chairman & HOD Surgical Oncology, Manipal Hospitals Bengaluru. About 1/3 of people who undergo total Mastectomy have not received any treatment except Physiotherapy to deal with Lymphodema of limbs. 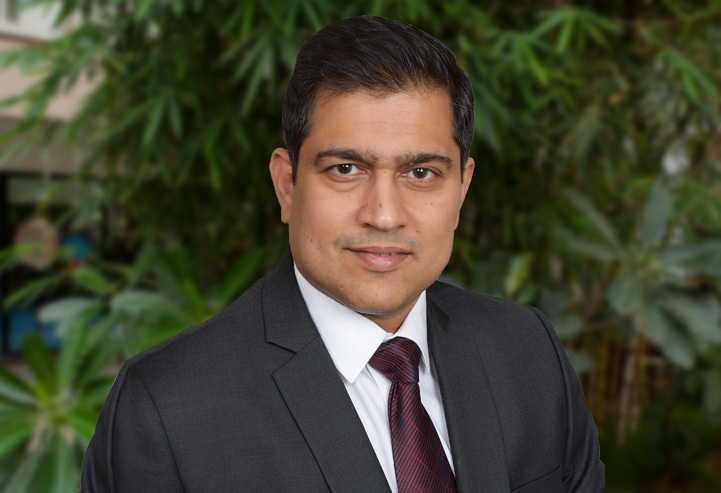 Under the expert guidance of Dr Ashok B C, Consultant Plastic Surgeon who is specializes in quality treatment protocols for cancer patients trained in Japan can now offer an array of treatments. Lymphovenousanastamosis can be done during the Mastectomy surgery or on patients who are already experiencing swollen limbs. This has been successfully done on more than twenty five patients who are leading a normal life. Lymph Nodes Transfer, this can be conducted in patients who are already suffering from heavy limbs. Manipal has so far successfully done four lymph node transfers on patients who are living quality life after mastectomy. The ICG machine with the help of a dye helps the doctor identify blockage . Manipal Comprehensive Centre has completed over 1500 successful complex robotic surgeries. It is currently Asia’s number one centre to perform HIPEC surgeries, which is the only hope for stage 4 cancers, with more than 300 surgeries performed in last three years. The centre is performing almost 100 HIPEC every year and is the only largest centre for the treatment of Sentinel Lymph node or Breast Lymphoedema in India. Manipal Comprehensive Cancer Centre provides all cancer treatment under one umbrella with expert guidance of world-renowned specialists spanning nuclear medicine to radiation oncology. India’s largest and fastest growing Functional Fitness Studio Brand ‘MultiFit Wellness Private Limited’, today announced India’s first Gym chain driven fitness incubator program, namely ‘MultiFit Fitness Incubator Program (MFIP)’. To be housed out of its Bangalore and Pune facilities, the program will be a healthy mix of technology-based start-ups and ideas as well as conventional ones across sports, fitness, wellness and nutrition. MultiFit has already commenced incubation of a Fitness CRM, Nutrition program ‘Fitsperts’ and MMA Academy ‘MultiFit MMA Pro-Academy’ – all to be commercially launched over the next three-four months.